Swedish developer Mojang's acclaimed 3D world-building sandbox title, Minecraft was a big winner at the 13th Annual Independent Games Festival tonight at Game Developers Conference in San Francisco, earning the Seumas McNally Grand Prize for Best Independent Game, as well as the community-voted Audience Award. In a diverse set of award-winners, other Independent Games Festival award recipients included Frictional Games' psychological horror game Amnesia: The Dark Descent, which took home awards for Technical Excellence and Excellence in Audio, as well as the sponsor-supported Direct2Drive Vision Award. Elsewhere, noted independent developer Messhof received the $5,000 Nuovo Award - which honors abstract, shortform, and unconventional game development which "advances the medium and the way we think about games" - for his two-player art game, Nidhogg. In addition, QCF Design's short playtime dungeon crawl adventure Desktop Dungeons earned the award for Excellence in Design, and the Excellence in Visual Art award was won by Gaijin Games' retro-psychedelic BIT.TRIP RUNNER. Finally, the award for the Best Student Game went to the Myst-like abstract adventure game FRACT, from the University of Montreal, and Best Mobile Game was awarded to Ratloop's unique 'line of sight' puzzler Helsing's Fire. All of this year's IGF winners and finalists are playable at Game Developers Conference at the IGF Pavilion on the GDC Expo Floor, which is open Wednesday, March 2nd through Friday, March 4th. Rockstar San Diego's critically-acclaimed Wild West adventure title Red Dead Redemption was the big winner at the 11th Annual Game Developers Choice Awards in San Francisco yesterday evening. The awards were presented at a ceremony at UBM TechWeb Game Network's historic 25th Game Developers Conference at the Moscone Center in San Francisco, with Red Dead Redemption receiving a total of four awards, including Best Game Design and the coveted Game of the Year award. Another award stand-out, Swedish developer Mojang's 3D sandbox title Minecraft, received awards for Best Debut Game, Best Downloadable Game, and the Innovation Award. The game was also awarded the Seumas McNally Grand Prize earlier in the evening at the 11th Annual Independent Games Festival Awards, making this the first year a game has been recognized by both the GDCA and the IGF during the same year. Other Choice Awards winners include BioWare's emotionally-charged science fiction adventure Mass Effect 2, which won the award for Best Writing, and ZeptoLab's iOS hit Cut the Rope, which took home the prize for Best Handheld Game. Finally, the Best Visual Arts Award went to indie developer Playdead's Xbox Live Arcade hit Limbo. The evocative monochrome puzzle platformer won last year's Independent Game Festival Awards for Visual Art and Technical Excellence. The Game Developers Choice Awards, which honor the very best games of the year, was created for and voted on by developers. The finalists were chosen via a combination of open game industry nominations and the votes of the leading creators in the Choice Awards Advisory Committee. GDC 2011 organizers are reminding that reduced-price online registration for next week's San Francisco show is only available until Sunday, also highlighting a number of late-breaking and previously unfocused-on talks. Although on-site registration is also available for Game Developers Conference 2011 - the historic 25th iteration of the show - interested parties can continue to register on the official website at a discount until Sunday, February 27th. The complete conference schedule for next week's GDC, including over 650 speakers, is currently available on both GDC Schedule Builder and the newly launched, smartphone-centric GDC Mobile site. - In a high-profile talk, Ben Cousins of EA's Easy free-to-play game division presents 'Paying to Win? Battlefield Heroes, Virtual Goods and Selling Gameplay Advantages', "takes us through the story of this controversy" behind sweeping changes to the game's in-game economy and virtual item catalog -- including key lessons learned. - A Main Conference video game funding panel, 'Funding Development: How to Raise Money if You're Not a Social Games Darling', includes notables like London Venture Partner's Phil Harrison, Seahorn Capital Group's Marc Jackson, Indie Fund's Aaron Isaksen and Tenshi Ventures' Jonathan Newth, talking "the world of financing beyond Silicon Valley venture capitalists." - Zynga's Brian Reynolds (Civilization II, FrontierVille) is presenting 'Launching Great Features on the Frontier of Social Games', discussing the latter hit Facebook game game "as a lens to discuss the production challenges in launching great social game features" - including "marrying good game design with good business practices and the constant need for new content in a live service." - Bungie's Jamie Griesemer presents the epicly-titled 'Design in Detail: Tuning the Muzzle Velocity of the Plasma Rifle Bolt on Legendary Difficulty Across the Halo Franchise', following up GDC 2010's much-lauded lecture about gameplay tuning for the franchise's sniper rifle, and targeted at "senior designers working on gameplay balance for a game with a sophisticated world simulation." GDC 2011 organizers are detailing specifics for next week's San Francisco-based show, including the return of 'Poster Sessions', the speaker line-up for Experimental Gameplay Sessions and the 'Social Devs Rant Back' talk. The complete GDC conference schedule, including over 650 speakers, is currently available on both GDC Schedule Builder and the newly launched, smartphone-centric GDC Mobile site. - A set of 'poster sessions' have been announced on Wednesday and Thursday from noon to 2 p.m., returning a popular format to Game Developers Conference in a higher profile setting. As the description explains, poster sessions are "similar to a traditional lecture; however, these sessions are presented in front of an actual physical poster explaining his/her thesis, to a smaller group of attendees [including] one-on-one interactions." The poster sessions, which occur on either Wednesday or Thursday, include Telltale's Bruce Wilcox on 'Beyond Facade: Pattern Matching for Natural Language Applications', as well as Volition's Jordan Lynn on 'How to Start a Usability Lab for $2500 or Less', plus High Moon's Daniel Holbert on 'Saying "Goodbye" to Shadow Acne'. The much-awaited two-hour lecture, compiled from submitted prototypes and games that "explore new frontiers in game design", includes Jon Blow (The Witness), Jason Rohrer (Inside A Star-Filled Sky), Richard Lemarchand (Uncharted franchise), Andy Schatz (Monaco), Robin Hunicke (Journey), Daniel Benmergui (Today I Die) and Frank Lantz (Area/Code/Zynga). Hopefully by now you realize what a milestone year it is for Game Developers Conference. This will be the 25th time that GDC -- or rather, an iteration of GDC -- has occured. Notice that I didn't say 25th year or anniversary? The launch of our show was in 1988, and two events were held that year. The first took place in the living room of our founder, Chris Crawford, near San Jose, CA, and was called the Computer Game Developers Conference. It was such a hit that a second event was scheduled later that year in a proper convention center. - First and foremost, we're bringing back GDC founder and Balance Of Power designer Chris Crawford to present a special anniversary lecture titled 'In Days of Yore'. Chris is a famously energetic speaker, as you can see by the infamous finale of his 1992 'dragon' speech at CGDC. I suggest doing what you can to see this talk. - Of course, we wanted to give conference attendees a special gift for our 25th edition. We were contacted by someone who wanted to create commemorative GDC plates (I'm not making this up! ), but we went with a special two-part gift we're revealing for the first time here. We're partnering with the fine folks at I Am 8-Bit and each GDC 2011 conference attendee will get a random selection of two posters - out of a complete set of four - that creatively reflect the last 25+ years of game development. Another project that I Am 8-Bit has created for us is Paint by Pixels. At registration, conference attendees will be given one 'pixel', and they can participate by attaching it to an initially blank canvas, to construct a 20-by-8-foot pixel portrait by designer Jude Buffum.. Make sure to make your own contribution to the 5,760 pixels needed to complete the image! - The Classic Game Postmortem series was also borne out of a GDC 25 brainstorm. Putting this lecture series together might have been one of the most fun things I've done for GDC yet. Every person I asked was so excited to participate and revisit their early, sometimes defining titles, from Pac-Man through DOOM to Populous and beyond. GDC 2011 organizers are focusing on health and healthcare in games for a one-day Serious Games Summit segment at the end of this month, including talks on WoW's 'blood plague' and nightmare protection through games. Day one of the Serious Games Summit, taking place on February 28 during the Game Developers Conference 2011 at the Moscone Center in San Francisco, will specifically address how games can change player behavior to improve physical and mental well-being. In the Summit description, the advisors note that the day "will focus on health and healthcare, covering research and the many commercialized games in the health and wellness space that have launched the past few years." Among the day's sessions is a talk on 'Video Game Play as Nightmare Protection,' in which Jayne Gackenbach from Grant MacEwan University will discuss studies that examine whether games can help ward off frightening dreams. Gackenbach and colleagues "...have been studying the hypothesis that video game play might act as a protective mechanism against nightmares [using] a waking rehearsal [to respond] to threatening situations in games." Also featured is a talk entitled 'Hakkar's Corrupted Blood Plague: How an Outbreak in WoW is Helping Epidemiologists Create Better Disease Models,' in which Rutgers University's Nina H. Fefferman examines how an accidental in-game plague in World of Warcraft could improve our understanding and our ability to react to such events in the future. Voting for the Independent Games Festival's 2011 Audience Award closes this week, so members of the public and the indie game community need to head over to the official IGF Audience Award website and cast votes before Friday, February 18 at midnight PST. 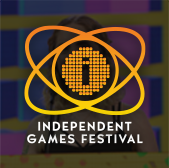 To be part of this year's vote, simply visit the IGF Audience Award page and download any of the games that are currently publicly available (each game has been marked to show whether there's a version for you to purchase or otherwise download). When you've made up your mind, return to vote for your favorite. Organizers of the IGF are allowing voters to cast their ballot for any game chosen as a finalist in the festival, as opposed to just those with public PC demos, as in previous years. After voting and inputting your email address, you'll need to verify your vote by clicking on a link sent to that email. Go check out the website now and start making your way through the games! Alongside this reminder, IGN's Direct2Drive digital game store -- the Official Download Partner for this year's Independent Games Festival -- announced the Direct2Drive Vision Award finalists from among IGF entrants. GDC 2011 organizers have revealed a first-ever Sony lecture on its NGP handheld, also debuting a GDC Microtalks line-up including David Jaffe and Epic's Rod Fergusson on producing the Gears Of War trilogy. The complete GDC conference schedule is now available on both GDC Schedule Builder and the newly launched, smartphone-centric GDC Mobile site. - In a newly confirmed Sony-sponsored session, SCEA's David Coombes will present a lecture called 'Next Generation Portable Platform', presenting the first public discussion of its new portable gaming platform at GDC 2011. The talk description simply notes: "In this presentation we will introduce a new handheld console. 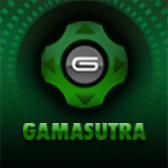 We will talk about the devices broad range of input and connectivity options and how these create exciting new opportunities for game designers." - The full speaker line-up for the always popular 'GDC Microtalks 2011: One Hour, Ten Speakers, Hundreds of Fun New Ideas' has now been confirmed, in a swift format whereby "each speaker gets 20 slides, each of which will be displayed for exactly 16 seconds before automatically advancing." The GDC Microtalk speakers this year, MC-ed by Naughty Dog's Richard Lemarchand (Uncharted franchise) are David Jaffe (Eat Sleep Play), Michael John (Electronic Arts), Brenda Brathwaite (Lolapps), Asi Burak (Games for Change), Jamin Brophy-Warren (Kill Screen Magazine), Jason Rohrer (Between creator), Colleen Macklin (Parsons the New School for Design), Naomi Clark (Fresh Planet) and Brandon Boyer (Independent Games Festival). GDC 2011 organizers are highlighting key talks from Bungie's Marty O'Donnell, Shanda CEO Alan Tan, and Loom creator Brian Moriarty, also revealing an expansion into Moscone West for this year's show. With the overall session list for the February/March event now finalized, Game Developers Conference 2011 organizers have responded to conference pass demand and increased capacity for the Summits and Main Conference lecture space this year. As a result, GDC 2011 has expanded to the third floor of San Francisco's Moscone West in addition to both Moscone North and Moscone South -- with thousands of extra seats now available to help stem potential space issues. - In an Audio Track keynote talk called 'From Myth to Halo: Marty O'Donnell's Adventures with Adaptive Audio, Creative Collaboration and Geese! ', Bungie's veteran audio director takes a wide-ranging look at his career to date, including his attitude on composing and implementing music in the seminal Halo franchise. O'Donnell amusingly explains: "What are my thoughts about the future of the music business in relation to game publishing? What are geese doing in the title of this talk? I'll attempt to answer all these questions but no one should expect complete clarity." - In a major Business Track keynote, Shanda Games CEO Alan Tan will present 'The Future of the MMO in China'. Tan co-founded the Chinese MMO giant Shanda, owner of U.S. firm MochiMedia, in 1999, and has overseen Shanda's rise to hundreds of millions of dollars a year in online game revenues. This March's 11th Annual Game Developers Choice Awards, the peer-awarded highest honors in video game development, have revealed the recipients of its two final Special Awards - the Pioneer Award, for creating breakthrough video game genres or concepts, and the Ambassador Award, for those who "helped the game industry advance to a better place". This year's Pioneer Award will be given to Sega Corporation veteran and game design legend Yu Suzuki, honoring his amazing work over the last three decades, inventing entire game genres and making seminal titles spanning Hang On through Virtua Fighter to Out Run, After Burner and Shenmue - and beyond. 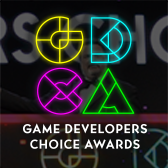 In addition, the Ambassador Award, also picked by the prestigious Game Developers Choice Awards Committee, will celebrate the managers of the Game Developers Conference Associates (CA) program, Tim Brengle and Ian MacKenzie. Sega veteran Yu Suzuki will be making a rare Western appearance to accept his award in person on Wednesday, March 2, 2011 at the San Francisco Moscone Center during Game Developers Conference 2011, where he will also be presenting a special one-off game design lecture. Suzuki himself first joined Sega Corporation in 1983 and is well known for his many industry firsts and genre-originating titles. In 1985, Suzuki created innovative arcade game Hang On, one of the first ever titles where the player's movement on a motorcycle facsimile was copied by the onscreen avatar. From there, Suzuki's output defined a 'golden age' of Sega arcade games, including all time classics such as Out Run, Space Harrier, After Burner, Power Drift, and Virtua Racing. Following this, his pioneering work in 1993 created Virtua Fighter, which spawned the 3D fighting game genre, and has been recognized for its contribution in the fields of Art & Entertainment by the Smithsonian Institution. GDC 2011 organizers have debuted the final set of GDC Summit talks, including a Super Meat Boy postmortem, Zynga on its journey from Farmville to Cityville, and Rovio talking Angry Birds. The GDC 2011 Summits, taking place on February 28th and March 1st at the Moscone Center in San Francisco, present a series of illuminating, focused sessions about the technology, design, business, marketing, and future of key game industry markets. There are a total of seven notable standalone Summits, including Social & Online Games, AI, Indie, GDC Education, Serious Games, Localization and the GDC Smartphone Summit, joining multiple high-profile tutorials on the Monday and Tuesday of Game Developers Conference 2011. - In an Indie Games Summit lecture catchily entitled 'Team Meat Presents: Super Meat Boy - A Team Meat Meatmortem', Edmund McMillen and Tommy Refenes will examine "sales numbers, contract details... and revel as myths [are debunked]." The talk will "touch on everything from development of features, mistakes made during the final stages of development, the launch of a game that Microsoft didn't believe in, why Steam is amazing, and the inevitable success of the best indie game of 2010." - The newly added Social & Online Games Summit lecture 'Click Zen: Zynga's Evolution from FarmVille to CityVille' sees Zynga exec and veteran game maker Mark Skaggs discussing "how [100 million unique user Facebook hit] CityVille represents a fundamental shift in how Zynga makes games, highlighted by the similarities and differences between CityVille and FarmVille." The UPS guy has started to build up a level of respect for me these days - I get that kind of glance that says somehow I've become one of his big dropoff stops, when it's supposed to all be simple one-box deliveries in a suburban neighborhood. I make it a point to always help unload the truck, which keeps me on his good side and not finding boxes dumped sideways at the end of the driveway or worse. So when he showed up and I came out, all he had to do was look me in the eye and go "Fourteen". This is not the same as the first photo I put up a while ago - this is an entire other set of material. Formats include VHS, Betamax, Mini-DV, CD-ROM, Audio Cassette, Jaz Drive (shudder), and in one particularly interesting development, an entire hard drive with the year scrawled on it. So this is the crossroads, or more accurately the threshold; from here it stops being a novelty to have material to digitize or an inbox with work left to do - from here it starts being a haul. The presentations also can't be cherry-picked like at the start; this is just simply all of them, all types, every subject that the GDC organizers thought needed to be spoken about in later half of the 1990s. It's about duty over fun now. But that's a duty I think is worth taking on. So I've been going through the tapes I've already digitized, uploading them, and getting things together. GDC 2011 organizers have revealed the complete Game Career Seminar lineup, spanning Schell Games' Jesse Schell, Epic's Cliff Bleszinski and notable Xbox Live Indie Games creators at the one-day student event this March. This special one-day program -- taking place on Friday, March 4 during Game Developers Conference 2011 at the Moscone Center in San Francisco -- offers a series of talks and presentations to help students and prospective developers make their way into the industry. Attendees, who are eligible for special reduced-price passes if they are students, will get the opportunity to view lectures, network with industry professionals, meet with HR representatives from a number of leading game companies and gain insight from industry experts. - In 'From Student to Start Up: Case Studies,' Schell Games' Jesse Schell provides an in-depth look at student projects that successfully made a name for themselves in the industry. From Portal to Fl0w, Schell will provide examples of how to best make the transition from school to professional development, as well as note some examples of how the process can go awry. - In the a panel on Xbox Live Indie Games, industry professionals and independent develops will discuss pricing, visibility, and other methods to help ensure success on the console-based indie platform. With Game Developer magazine's Brandon Sheffield moderating, panelists include representatives from Mommy's Best Games (Weapon Of Choice), MagicalTimeBean (Soulcaster), Ska Studios (I MAED A GAM3 W1TH Z0MB1ES 1NIT!! !1), and Zeboyd Games (Breath Of Death VII). Organizers of GDC 2011 are highlighting a first-ever public lecture from Cave Story creator Pixel, plus talks on Playdead's acclaimed Limbo and Chris Crawford on gaming's 'days of yore'. As the overall session list for the February/March event expands further, following the announcement of the classic postmortems series and a keynote from Nintendo's Satoru Iwata, new lectures continue to be showcased. These new talks are part of GDC 2011's Main Conference, which takes place at the Moscone Center from Wednesday March 2nd to Friday March 4th, 2011 during the pre-eminent, San Francisco-based event. - In his first-ever public speech and Western appearance regarding much-beloved 2D indie title Cave Story, Japanese 'dojin' game developer Daisuke 'Pixel' Amaya will discuss his creative process in making the PC freeware title that debuted in 2004. The evocative retro-themed game -- a 2D platform adventure with genuine emotion, depth, and an intriguing story -- which took 5 years to complete, is an IGF finalist this year in its enhanced WiiWare version, and Amaya will talk about what went both right and wrong in creating a game that turned out completely unlike what he initially had in mind. - Presenting a lecture called 'Designing Limbo's Puzzles', Playdead's lead gameplay designer Jeppe Carlsen discusses design takeaways from the most-nominated game in this year's prestigious Game Developers Choice Awards. Organizers of the 2011 Game Developers Conference are highlighting full-day sponsored tutorials on Android, Microsoft's Kinect, Unity, and Google's full product suite, for the 25th edition of the industry's leading event for game creators. With the overall session list for the event now almost full, organizers are taking the opportunity to highlight the sponsored full-day tutorials from major firms available to attendees. These sessions, part of a full roster of one and two-day tutorials will once again be held alongside the GDC Summits on the first two days of the San Francisco-based event, Monday, February 28th and Tuesday, March 1st. They will be open to those with a Summits & Tutorials or All-Access Pass, and interested parties can select their preference during the process of online registration and onsite check-in to help GDC staff with room capacity. - A Google Developer Day taking place on Monday includes Google game development-centric luminaries such as Bill Budge and Gregg Tavares, promising to allow development and business-centric attendees to "get a peek at the brand-new technologies Google is developing for games."